Side-note: the recording on the ReListen app is very solid for this show. Julius opens this one in fine form. Definitely a tight and rollicking version with strong playing throughout. Gumbo fits into the two spot admirably, and provides some more crisp playing from the band. Trey's solos in the first two are clean and energetic. Divided Sky is a treat here, with a very nicely performed composition section and a stunningly fierce yet poignant climax. Excellent playing by Trey in particular, but everyone is very cohesive. This is a slightly longer than usual version as well with ample victory laps from Big Red. PYITE is a welcome visitor to the set and this version is strong. Another crisp testament to '95. Stash is the set's highlight. It's a classic Stash with no shortage of tension and incendiary playing. The build at 9 minutes is a purposeful and dissonant passage which the band cycles through and peaks several times with great aplomb. Slightly before the 11 minute mark the band traverses a quiet and distorted vamp that builds in noise level eventually transcending the dystopian feel and emerging into the ending chorus with a slight stumble at the end. Fine version indeed. My Mind's is a nicely placed tune. This song is always odd to me in a banal but harmless way. Fits nicely after the opening batch of tunes, which were all very high energy. Axilla (II) kicks the energy level back up. There's a notable haunting outro jam that descends into The Horse. Horse>Silent is not something I typically look for, but for some reason the pairing fits nicely in the context of this set, for me at least. Great cover, end set. Trey's solo had me smiling like an idiot. Set II opens with Timber, which was popping up a few times in some subsequent set IIs. 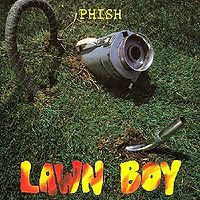 The version starts with a nice rhythmic jam with Fishman hammering away and Trey complimenting the rhythm section nicely with some good patterns. The jam builds into a raucous and electrifying improvisation with plenty of tense moments. There's a final release around 6 minutes and a softer descent back into the song. A short, but excellent version concludes with the second vocal section. Sparkle is a bright counterpoint to the preceding Timber. Fast and fun. Ya Mar continues the breezy vibe that Sparkle initiated. This is a strong version. Page's solo section is very nice and Trey's solo is a playful one. Overall a nice selection. Run Like an Antelope is a perfect call to springboard the set energy level back up. The opening is nice, with some cool ideas from all members and the drop into the jam is excellent. Trey starts working some ideas over as the band locks in and Page fills in the blanks with some nice counterpoints to Trey. By about 4 minutes the band is reaching a good low boil. By 7:15 or so we are really cooking and Trey is running up the neck with a nice step change around 7:40. At 9:00 the rhythm section drives us to a new speed with Trey whipping out notes with abandon. He settles on dissonant little vamp, which he uses to build additional tension and then fires off some more rapid note runs at 10:00 then back down at 10:20 and back up by 10:40 and 10:50 brings us the start of the classic build towards a screaming peak, which is 100% high octane satisfaction. It's a clean drop back into the rye rye rocco section and a strong conclusion. 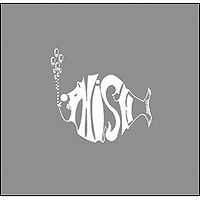 Nice version, like the Stash in set I, this is just good clean fiery Phish. 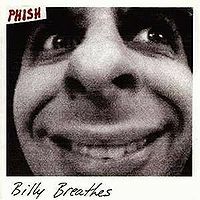 Billy Breathes is a bit of an odd call and perhaps the most uneven contributor to the setlist. It's ok as a palate cleanser post 'Lope. There's a slight flub in ending section, but I do love the use of the Leslie speaker in '95 for a nice conclusion. CTB follows BB up and doesn't offer a ton aside from a danceable interlude. The set has a bit of an uneven feel at this point. Enter YEM. Well it's not a monster like some of the other December '95 legends, but it's still GREAT. They take the opening arpeggios at pace and play a crisp intro that fades into the ambient & beautiful section with utter grace. They continue through nailing each section and at 7:00 we enter funk town. Boy man - is this part great... By 14:45 Trey is wailing and I'm grooving hard....yes! Around 15:55 or so Trey sustains a note and drops out for a nice Bass section. Mike is throwing dirt our way with Fishman holding it down. By 18:40 we are in vocal land for the conclusion. Good version - of course it pales in comparison to some others from this tour. Nevertheless the set needed that. Sample is up next and is uneventful. They follow with Frankenstein to close out. Overall this is a fine show. Nothing exceptional. There's some odd song selection and a bit of unevenness in terms of flow for me. 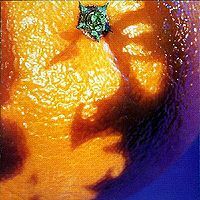 That said there's plenty of good in the opening five songs, a weird little Axilla outro and the opening 4 of set II is pretty cool. Throw in a good YEM and this is a perfectly fun show. 3.75/4 I'll dock it in comparison to the previous night, but mostly because of some song choice preferences. Great show with a lot of energy. I gave it a 4 star rating. Really enjoyed the Julius opener. The Stash was outstanding as noted above. Axilla II was solid as well with a cool little outro. Second set had some points where it slowed down a little. Ya Mar was very good with a solid intro. YEM had a patient build up and great jam section. Frankenstein to end the set was a great choice and solidly played. The first set of this show has a great "Stash". I can't think of a "Stash" from all of `95 that is less than great. The second set "Timber" opener is one of the best "Timber"s I've ever heard -  long and quite dark. The workhorse of the night is this "Antelope". This is one of my favorite "Antelope"s. It was very intense in the middle. 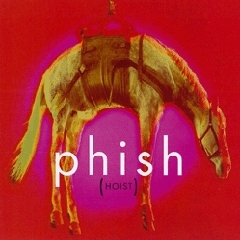 If I had to play one version of one song for someone to get the gist of Phish, I'd play this "Antelope" for them. 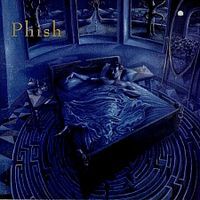 This is the Phish Machine. I also like the "Ya Mar" and "You Enjoy Myself", featuring a short and scary vocal jam. This is a good show; not outstanding, but good. It lacks in exploratory and experimental jams, but the energy and enthusiasm is there (which likely made this show a very fun one to attend). The Timber that opens set 2 is a swirling, spinning, thunderous storm – it clocks in at 7 minutes, and is easily the highlight of the show. I was hoping for something equally dark to follow, but instead we got Sparkle > Ya Mar (oh well). 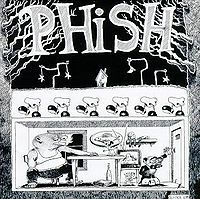 Good YEM; Fishman is on fire, as usual.